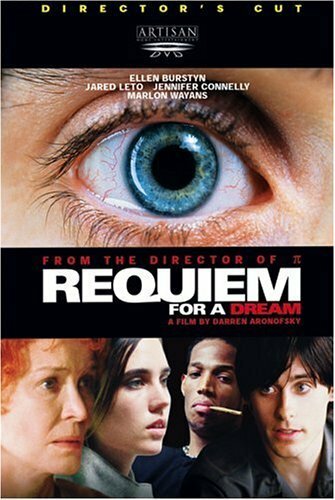 Employing shock techniques and sound design in a relentless sensory assault, Requiem for a Dream is about nothing less than the systematic destruction of hope. Based on the novel by Hubert Selby Jr., and adapted by Selby and director Darren Aronofsky, this is undoubtedly one of the most effective films ever made about the experience of drug addiction (both euphoric and nightmarish), and few would deny that Aronofsky, in following his breakthrough film Pi, has pushed the medium to a disturbing extreme, thrusting conventional narrative into a panic zone of traumatized psyches and bodies pushed to the furthest boundaries of chemical tolerance. It's too easy to call this a cautionary tale; it's a guided tour through hell, with Aronofsky as our bold and ruthless host.